How to speak about architecture in a different way? Architect Sarah Bitter, driven by this question, invites a philosopher, a dancer, a writer, and acrobats into dialogue with her latest architectural achievement, a public housing complex located on Rue de Crimée in the 19th arrondissement of Paris. The director Sophie Comtet Kouyaté captures and records their words, gestures, texts, movements. 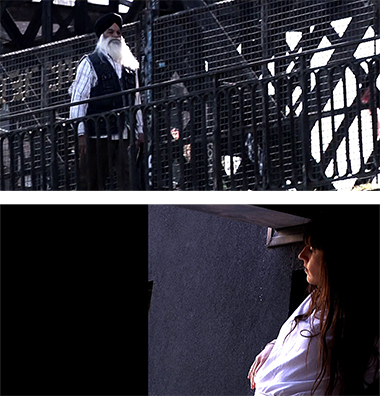 Gradually, through her own artistic and literary contributions, she goes beyond her assignment to create a polyphonic conversation, a poetic journey that combines fictional scenes, reminiscences of Italian realist cinema, philosophical analyses, futuristic contemplation, and artistic performance, at the heart of a site in the process of becoming.